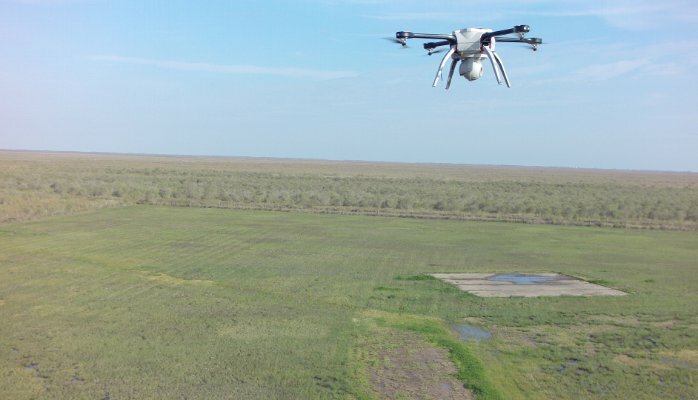 We thought it would be helpful for our readers to know more about this revolutionary technology; so we reached out to Aetos Group, a company that specializes in UAV and other forms of robotic inspection, to get the scoop on the technology. First and foremost, commercial use of UAVs is regulated and the relevant laws should not be ignored. I would like to add that I am not offering a legal opinion in this blog. I am, however, advising anyone who is using or considering the use of UAVs in commercial applications to do their due diligence and to work with a company who takes the regulatory side of the business seriously. In the United States, all aerial vehicles, manned or not, are governed by the Federal Aviation Administration (FAA), and all civil aircraft operations in the country must comply with FAA regulations, except those which are solely for recreational use. Under current FAA regulations, it is actually illegal to fly a UAV for civil, non-recreational purposes in most circumstances. To do so, either a Special Airworthiness Certificate (SAC) or Section 333 Exemption is required. An SAC is difficult and time consuming to obtain, so for commercial purposes a Section 333 Exemption tends to be best. Essentially, a Section 333 Exemption is exactly what its name implies. It is an exemption from FAA regulations on UAVs that organizations can apply for to be able to operate UAVs for commercial purposes. Once the exemption has been granted a company still has to register their UAV and apply for a Certificate of Authorization (COA) to fly in a specific airspace. Once all of this is done, it is possible to perform commercial inspections using a UAV. Of course, this is an oversimplification of a very complex issue but I think the regulatory discussion is a good place to "launch" the conversation. If there is interest, I’ll follow this post with another detailing some of the practical applications for the use of UAVs in inspection. We’re also working with Aetos to develop a more comprehensive article on the topic, which should be released in Inspectioneering Journal and on Inspectioneering.com within the next few months. Once again, I would like to thank Aetos Group for their contributions to this article. We would have had a very difficult time researching the topic without them. Aetos Group has a Section 333 Exemption to fly UAVs, meaning they’re currently capable of performing legal unmanned aerial inspections. They have been involved with UAS in chemical plant environments for the last four years in partnership with Northwestern Michigan College and The Dow Chemical Company under a Certificate of Authorization (COA) from the FAA, which is available as public record. If you have any questions or feedback related to the use of UAVs, feel free to drop us a line at our contact page. We may not know the answer ourselves, but we will do our best to connect you with someone that can help.